How Far is Sri Siva Sai? 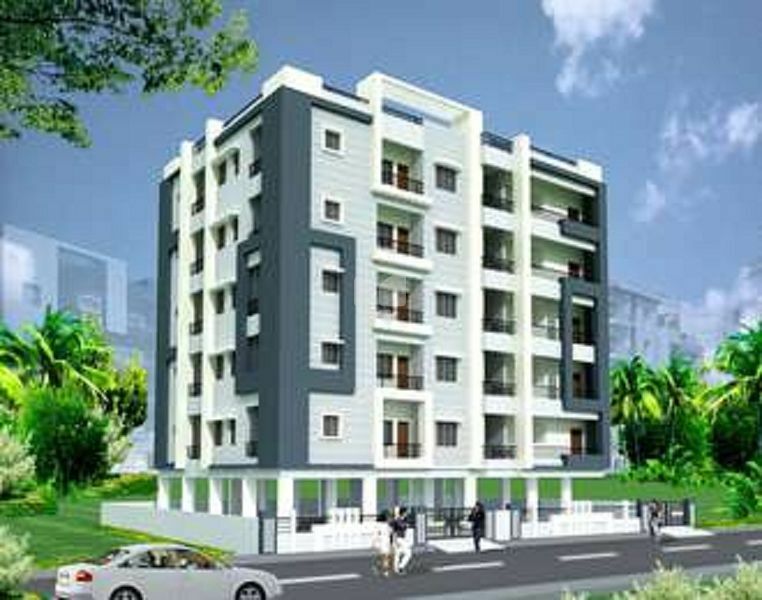 Sri Siva Sai Krupa Flats is a popular residential project developed by Sri Siva Sai Builders that is located in Sainikpuri, Hyderabad. The project offers 2 BHK and 3 BHK apartments with modern amenities for the comfort of residents. Adding to this, it is situated close to the market, hospital and various educational institutions. Table Moulded clay bricks in cement mortar with two coats. Plastering both inside with sponge finish . Smooth luppum finish for internal walls and sponge finish for external walls. Teak wood frames for all doors, with teak wood shutters for main door and water proof flush shutters for all other doors. Teak Wood Frames and glazed shutters for all windows with safety grills. Ceramic tile wall cladding up to door height 6' height with anti skid ceramic tile flooring and good quality fittings, showers,mixers,wash basin, tub in master bedroom, hot water solar system Indian W.C in common toilets. P O P Border ceiling corners in hall and dining area. Conceled Pvc pipes ISI MARK multi stand copper wiring . adequate point with modular switches for lamps, tube lights , ceiling fans and exhaust fans including TV,AC,Fridge,Geyser ,with 3 phase meter ,distribution box. ISI marked GI fittings and hot water supply and CI fittings for sanitary lines. Ground water, drinking water, sump and overhead water tank. External: synthetic spray plaster Exterior emulsion paints of Asian ICI make. Sri Siva Sai Builders, a leading construction firm in Hyderabad and Secunderabad. The promoters of the firm have got varied and rich experience of more than 40 years in the building industry, having built several buildings since inception. To cater to the needs of present and future generations, the firm is promoting a series of large residential townships in several areas of Greater Hyderabad Municipal Corporation and outskirts. All the ventures promoted by the firm so far have been highly successful. The form is presently carrying out huge construction activity at various locations in and around Hyderabad. The Present ongoing Projects Are to the tune of Hundred crores is also negotiating for several new projects with a view to expand the activity. The firm has earned good amount of reputation since it’s promoters are known for honesty, integrity and the quality of construction as well as it’s sincerity and courtesy in dealing with the customers.